Easy to install. Easy to setup. Easy on your wallet. The perfect choice for anyone aiming for quicker lap times, better 1/4 mile runs or just more fun on the road. The idea behind the quickshifter is quite simple: clutchless, full throttle shifts for minimum time loss during a gearchange. The quickshifter cuts the ignition, unloads the gearbox, making it possible for you to switch one gear up without closing the throttle. By the time the spark comes back, youre already in the next gear  no hassle, no glitch, no time lost. You may win only a couple of milliseconds per gearchange, but these small wins all add up by the end of the lap, reducing your time to get round at least 1 or 2 seconds which is quite impressive. A few years back quickshifter technology was only available at the top level of motorcycle racing, like MotoGP and World Superbikes. Now you can get your hands on the big boys toys for a bargain price! 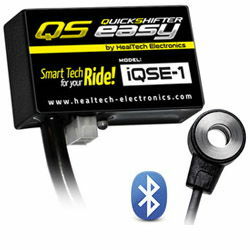 QuickShifter easy was designed with the average rider in mind to make the installation and setup as simple as possible, yet it has all the features only the best quickshifters have. 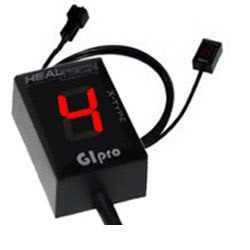 One sensor that works on all motorcycles, also with reverse (race) shift pattern. Comes in a small package, so you dont have to sacrifice your under-seat storage space. Uses Bluetooth technology and Android or iOS app for setup and verification. Can even be disabled with a few taps if you wish to cruise the streets. There are no moving parts in the sensor, its a robust design. 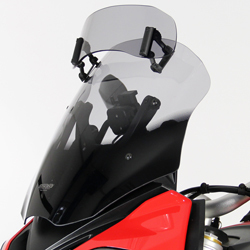 The unit is also weather and shock proof and comes with a 2 year warranty. Free/automatic software updates are also available for the lifetime of this product. *Please note: A Bluetooth enabled Android or iOS compatible phone or tablet is required for setup. !quote, electronics, air, shifters, airshifters, quick, shifters, qse, qse-1, qse-2, 50, 90, 125, 250, 400. 450. 500, 600, 650, 750, 800, 1000, 1100, 1200, 1250, 1300, 1400, 1500, 1800, drz400, gsf600s, gsf600n, gsf1250na, gs-f, gsf1200s, gsf1200n, gsf1250sa, gsxs1000, gsxs1000a, gsx-s1000a, gsxs1000f, gsxs1000fa, gsxr600, gsxr750, gsxs750, gsx-s750, gsxs1000, gsxs1000f, gsx-s1000, gsx-s1000f, gsxr1000, gsxr1100, rmz450, rmx450z, vstrom, 600, 650, 750r, 800, 1000, 1400, 1500, 1600, 1700, 89, 90, 91, 92, 93, 94, 95, 96, 97, 98, 99, 00, 01, 02, 03, 04, 05, 06, 07, 08, 09, 10, 11, 12, 13, 14, 15, 16, 17, 18, 19, 20, 1989, 1990, 1991, 1992, 1993, 1994, 1995, 1996, 1997, 1998, 1999, 2000, 2001, 2002, 2003, 2004, 2005, 2006, 2007, 2008, 2009, 2010, 2011, 2012, 2013, 2014, 2015, 2016, 2017, 2018, 2019, 2020! After having gone through 3 HM shifters in 2 months I got one of these as I've never had a issue with the Gi pro ATRE9 which has been in my bike 2 years. Had it on now a week and hasn't missed a beat. Takes a few test rides to dial into super smooth but that's part of the fun using the app. Get one.